It may only have been a preseason game, but that didn’t keep bitter rivals McGill and Concordia from battling back-and-forth in an intense contest on Saturday evening. After an epic back-and-forth nail-biter where the Redmen equalized with a minute remaining in regulation, the Stingers came away with a 5-4 victory in overtime. Head coach Kevin Figsby decided to sit out his newly-appointed captain Olivier Hinse, and other veterans including Jessyco Bernard, Alex MacDonald, Gabriel Bourret and Hugo Vincent to name a few, for the contest, yet still came out with the win. Four of Concordia’s five goals came from newcomers to the squad, all of whom hope to crack the lineup when the Stingers’ season starts on Oct. 3 at Carleton. One of those young hopefuls is St-Jean-sur-Richelieu native Victor Provencher, who played for the Chicoutimi Sagueneens last season. 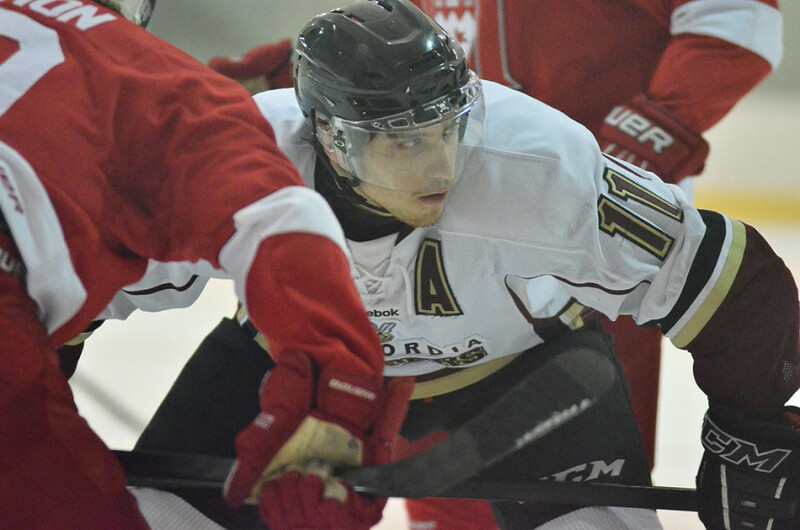 Provencher scored a goal and added an assist in his first game with the Maroon and Gold. Despite falling behind under three minutes into the game, and having to come back several times, the Stingers’ resiliency was apparent. The rivalry remained between these two clubs, and when after being down 3-1 they roared back, making it 3-2 15 seconds later on Provecher’s goal. In the third, they scored two unanswered to go up 4-3 with under two minutes to play, including a shorthanded goal by another Stinger hopeful, Scott Oke, who sent the puck behind the red line. 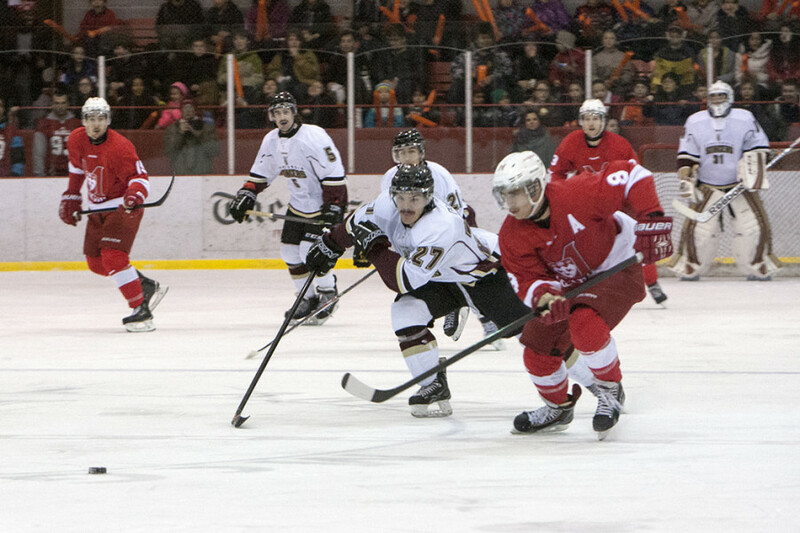 Their fourth goal, scored by Brouillard, found the back of the net with just under two minutes to play, and it seemed like victory was theirs until the Redmen tying it at four with exactly a minute left. But, in overtime, it was two Stinger veterans who combined on a photo finish when defenceman Youssef Kabbaj fed Dany Potvin, who after being denied twice earlier in the game, fought off two Redmen and finally the goalie for the win.